Trying to reach "inbox zero"? Email is in our personal lives every day. 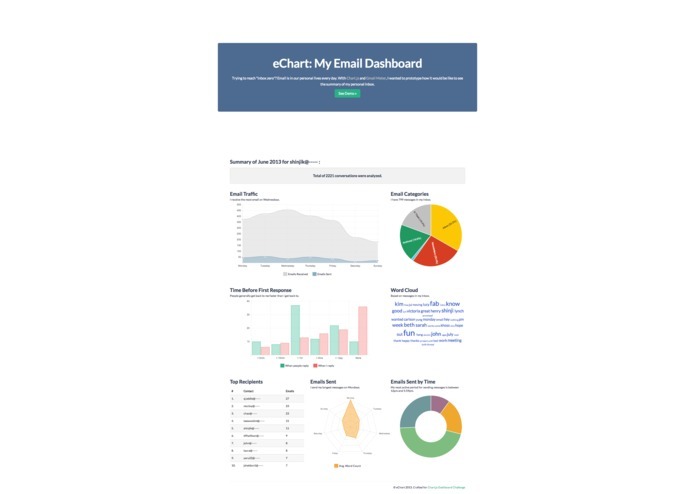 With Chart.js and Gmail Meter, I wanted to prototype how it would be like to see the summary of my personal inbox.